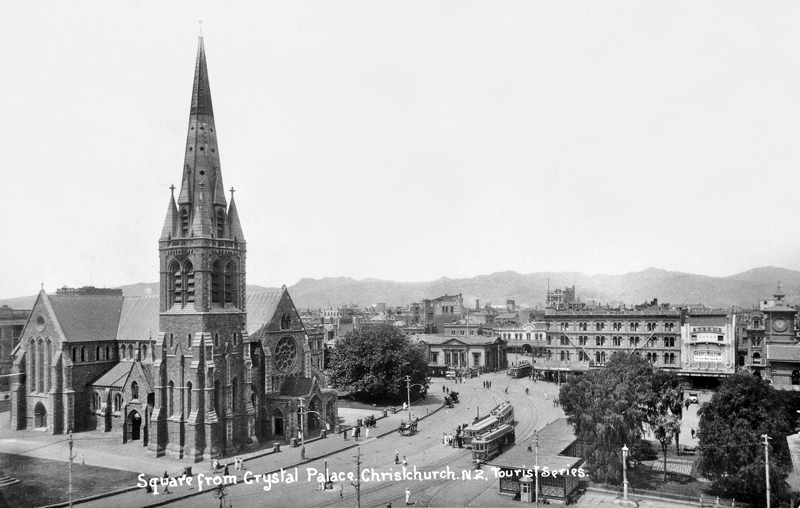 Cathedral Square including Christchurch Cathedral circa 1918. Photo taken from The Crystal Palace. The Crystal Palace was a Picture Theatre built in 1918. Wonderful view of the Square with 4 trams, several horse drawn vehicles, the old Bank of New Zealand, and the United Services Hotel in the background and the Strand Picture Theatre at right.